Author Andy Stanley, the Evangelical preacher at the North Point Community Church in the Atlanta suburb of Alpharetta, Georgia, has recently caused quite a stir among his peers and many theologians. In a recent column in Relevant magazine, entitled “Why Do Christians Want to Post the Ten Commandments And Not the Sermon on the Mount?” Stanley argued that the ten commandments are not binding on Christians. “The Ten Commandments played a significant role in God’s creation of the nation of Israel. It gave them moral guidelines and helped separate this new nation from their neighbors. This was part of the formal agreement (or covenant) God created with his people, but Jesus’ death and resurrection signaled the end of that covenant and all the rules and regulations associated with it,” Stanley wrote. However, the Bible affirms the correctness of Andy’s observations, at least in this regard. In the Ephesian letter, Paul argues that the law separated Jews and Gentiles, but now through Christ both are one. For He Himself is our peace, who has made both one, and has broken down the middle wall of separation, having abolished in His flesh the enmity, that is, the law of commandments contained in ordinances, so as to create in Himself one new man from the two, thus making peace, and that He might reconcile them both to God in one body through the cross, thereby putting to death the enmity (Eph 2:14-16). The Hebrew writer constantly affirmed that the we are today under a “better covenant,” based on a “better sacrifice” with Jesus as a “better High Priest” providing “better promises” that offers us a “better hope” (Heb. 1:4, 7:19,8:6, 9:23). He calls the law “a shadow of good things to come,” that could not “take away sins” (10:1). And that Christ’s vicarious death on the cross took away the first law that He might establish the second (10:1-16). Furthermore Stanley’s observations are in line with Jesus’ own statement about coming to “fulfill the law” and Paul’s explanation that “Christ was the end of the law” (Matt 5:17-18; Rom. 10;4). I would disagree with Stanley’s implication in his article that the command to “love one another” replaced all other commandments and is the only one we are to obey. Jesus said, “If you love me, keep my commandments” (Jn 14:15). 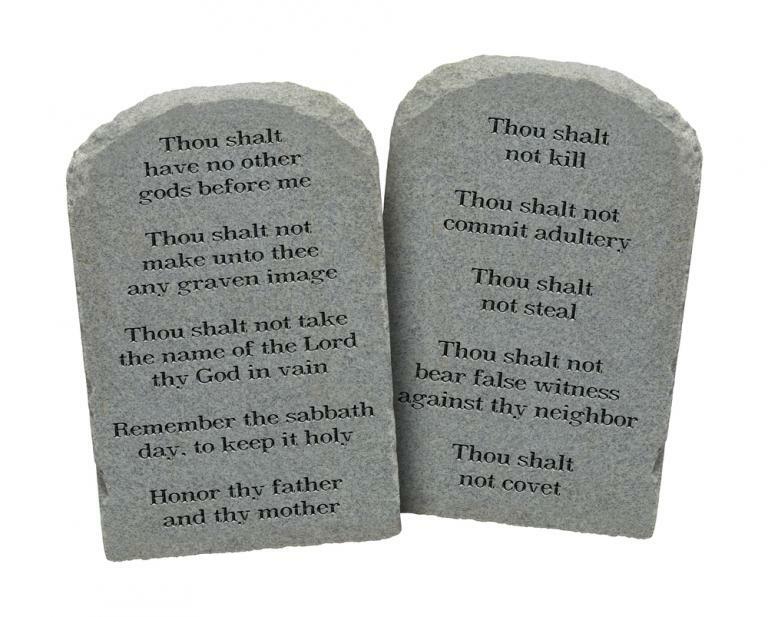 In fact, scattered throughout the New Testament 9 of the 10 commandments are restated as a part of Christ’s law for Christians (Rom 13:8-10;Gal 5:19-21). The only exception being “Remember the Sabbath (Saturday) and keep is holy” which is replaced with a new day for Christian worship on the first day of the week (Ax 20:7; 1 Cor 16:1-2). While we are not under the laws of the Old Testament, we learn much from its teaching. Paul reminds us of its value. “For whatever things were written before were written for our learning, that we through the patience and comfort of the Scriptures might have hope” (Rom 15:4). It is important to be reminded that neither Andy Stanley, evangelical theologians, nor Ken Weliever and ThePreachersWord are the absolute standard of authority in religious matters. Hey Stephen, I can do that. I will try to work it in next week. Thanks for reading, commenting, and asking questions. ken, I disagree about your thoughts on the command “loving one another” even Jesus said if we love one another we fulfill the royal law, which includes all the commands of Christ. If we love then we are not going to violate what was fulfilled at the cross. I will make an assertion here. If anyone is really interested in the Biblical source for these conclusions, I would be happy to provide it. The Covenant of Abraham is the New Covenant. It was made 430 years prior to The Law of Moses. The Abrahamic Covenant was offered to Israel God said if Israel would keep His Covenant they would become a “kingdom of priests and a holy nation, a peculiar people” out of all the nations of the earth. This Blood Covenant instituted with Abraham was then spoken by God to all Israel, then written by the finger of God in tablets of stone. Israel, had they obeyed, would bring people to God, as priests. They refused to have direct access to God as priests and said Moses become the mediator. Therefore God instituted the Mosaic Covenant, the Law of Moses and that was added to the Abrahamic Covenant. He also instituted the Aaronic priesthood and all the “trappings” that went along with them. And finally, the two Covenants at the time of Moses are revealed juxtaposed. Confusion comes when the Covenant of Abraham is confused or conflated with the Old Covenant. Great article, Ken! Perfect for sharing with my four sisters (Methodist and Assembly of God- we were raised Methodist). Nothing I have tried to teach in the past has worked, but if they read this article, hopefully it will get them to thinking. Thanks, Dorthy. Tomorrow I’m writing on the Sabbath. Maybe the two together will prove helpful. I hope so.